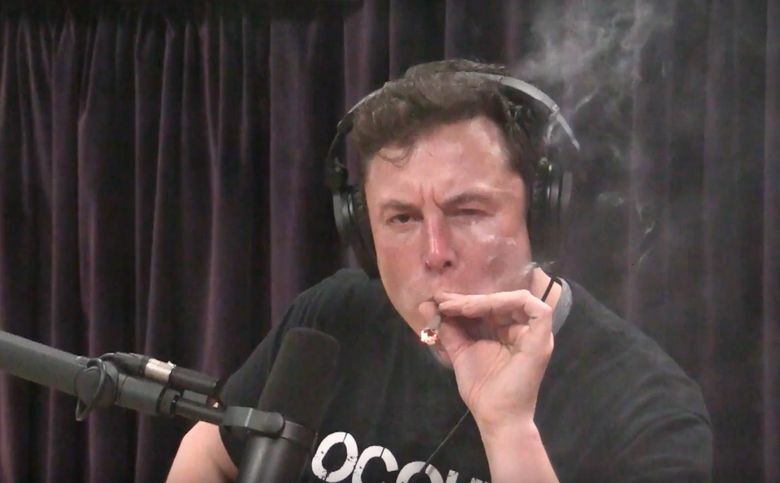 The turmoil at Tesla reached a fever pitch Friday, as news emerged that two senior executives will leave Elon Musk's electric-car maker a matter of hours after he smoked marijuana during an hours-long interview with a comedian. Morton, a former CFO for computer-drive maker Seagate Technology, joined Tesla one day before Musk tweeted that he was considering buying out some investors at $420 a share and taking the company private. The CEO abandoned that effort 17 days later, and in the process drew a subpoena from the Securities and Exchange Commission and a series of lawsuits alleging market manipulation. Tesla shares fell as much as 10 percent to $252.25 in morning trading in New York, the steepest intraday drop since June 2016. They recouped some of their losses and closed Friday trading down 6.3 percent at $263.24. By leaving, Morton walked away from a $10 million new-hire equity grant that would have vested over four years. Philippe Houchois, an analyst at Jefferies Groupwith a hold rating on Tesla shares, said that Musk “seems to be on a slightly self-destructive bent.” In an interview with Bloomberg Television, he called for the company to split up the chairman and CEO jobs — Musk has served both roles since October 2008. “The team, the skill set that have been phenomenal to create Tesla are not the ones we need for the next stage,” said Houchois, who has a $360 price target on the stock. Morton and Toledano’s departures — and Musk’s performance on the podcast — also alarmed James Albertine, who rates Tesla a hold with a $300 target.